Is there such a thing – a beginner in cleaning? How is that possible? Well, dear friends all those of you who are just starting to live on your own and you are no longer dependent on your parents or on the cleaning lady in your dorms are considered as beginner cleaners. There are so many things that you have to learn the hard way, like sort your clothes before putting them in the washing machine or else you just have to wear pink through the entire year. Being independent often means renting a place and making sure that you meet your landlord’s standards of cleanliness and spotless. Altho they can’t make surprise visits, at least in the UK your landlord is obligated by law to inform you if they want to visit their property, you still need to keep the place presentable. That could be a drag, not only you need to work and take care of your social life, but also regularly clean. Fear not our party loving friends we have a list of fast and effective hacks that will make your life easy. All cleaning tasks for the current week. Make sure you have all of this before you start to clean your home. The toilet – you must clean your toilet regularly in order to disinfect your home. The kitchen sink and countertops – you eat and prepare your food in the kitchen, you must clean it. Your floors – obviously, you can’t clean without vacuuming the dust and dirt from the floor. End of course here are the things you don’t need to clean on weekly basis. Just once a month will be alright. Deep clean your bed’s mattress. Oven, microwave, coffee machine, dishwasher, etc, you can clean them all only once a month. The best way to spend your weekends as a young and energetic person living in a big city is definitely not methodically cleaning your flat. If you live in the capital, you will want to go out with friends and have fun in one of the many pubs and bars in London. 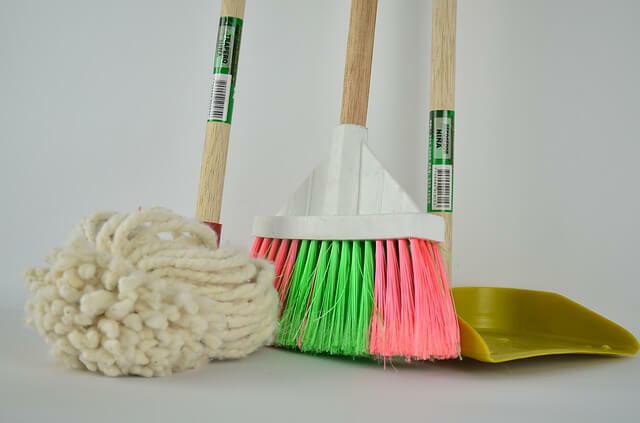 However the burden of the home cleaning chores will be still there, so here is what you need to do. Don’t clean everything, clean only the parts that are visible. You can always deep clean next week. Clean the floor. This is the first thing that everybody spots. Vacuum it and then go on with a wet mop. 10 minutes and you are done. Clean the dishes and the sink afterwards. Again 10 minutes at best and you are ready. Pour some toilet cleaner in the toilet, let it sit for 5 to 10 minutes and then flush a couple of times. Lastly, clean all the mirrors in the home using window cleaner and paper towels. Not more than 5 minutes.